Michael Lehmann’s iconic cult classic Heathers is set to earn a theatrical re-release in UK cinemas from August 8. Heathers, the cult classic from 1988, has been fully restored by Arrow Films for a special UK theatrical re-release on August 8. Michael Lehmann’s biting black comedy about rebellious teenagers stars Christian Slater and Winona Ryder as a pair of devious high schoolers who disapprove of the cool kid cliques and plot to make them pay (in deadly fashion). One of the defining films of the decade, Heathers subverted the genre’s well-worn tropes, offering a sort of antidote to the films of John Hughes that young audiences had feasted on throughout the 1980s. 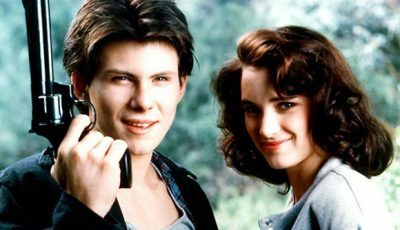 Dan Grant, in his Top 10 American High School Films From The 1980s Excluding John Hughes, said Heathers is “darker, meaner and a little twisted” compared to most of the teen films of the decade. Likewise, Neal Damiano, who listed Lehmann’s film in his top 10 Christian Slater list, says it’s an “anti-teen” movie and yet it’s one that brilliantly captures life at that important juncture. Winona Ryder gets equal praise. In our list of the actress’s best work, Lisa O’Connor said this was the Winona Ryder film to watch calling it a great “satire on high school dynamics”. Celebrating the 30th anniversary of the film’s original release, Arrow Films has lovingly restored the print and will present it at the BFI alongside director Lehmann and actress Lisanne Falk who will join the screening for an exclusive q and a. The film will also appear in London at Leicester Square’s Prince Charles Cinema for screenings between August 10 and August 16. Heathers is in Cinemas from August 8 and on Digital & On Demand from August 20.